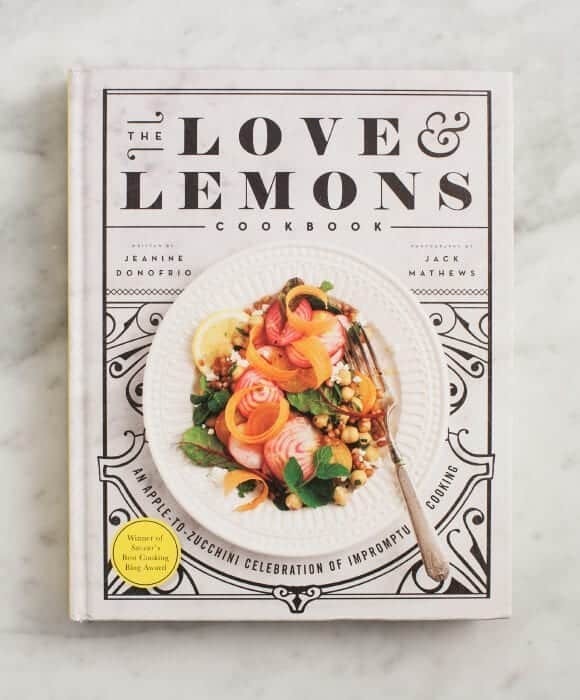 Pre-order The Love & Lemons Cookbook! It’s so surreal to be sitting here writing this post. When we first started talking about this book (nearly 2 years ago! ), the year 2016 felt like a lifetime away. It’s no joke, the process of publishing a book is LONG! But here we are – 120 recipes, roughly 300 photos and 1 broken dishwasher later – and it’s now available for preorder and will be out March 29th! So what’s the book about? 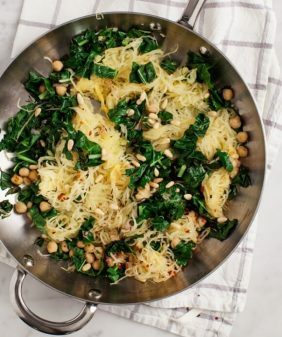 Simple, beautiful cooking with fresh seasonal ingredients. 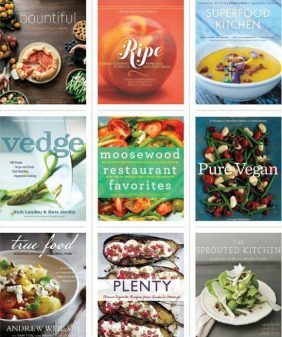 The recipe chapters are organized by vegetable so that your cooking inspiration can start where mine does – the farmer’s market, your CSA box, or sometimes even the contents of your fridge. The recipes are easy to make, and almost all of them use ingredients you’ll have on hand. How do I know what you’ll have on hand? At the beginning of the book, I have a handy guide to keeping your pantry stocked, and most of the recipes in the book can be made with those ingredients. There’s also a section called “What to make with what you have” that offers creative tips for those times when your pantry isn’t entirely stocked. This is the way I cook every day and the book has a nice well-designed way of describing it. I also have some mix-and-match sections at the end of the book for things like salsas, guacamole, pestos… because who wants just one option when you can have 4! And of course, the book is all vegetarian with many, many vegan and gluten-free options. 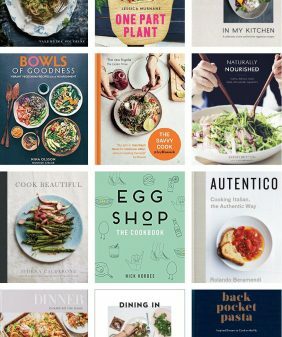 I hope most of all that this book not only gives you delicious recipes (Eggplant & Mushroom “Meatballs,” Veggie Ceviche, and Double Chocolate Zucchini Muffins are some of my favorites! ), but also gives you some inspiration to play around in your own kitchen. Here’s a little sneak peek! And a special shout out to my favorite collaborators: Jenn Elliot Blake for your gorgeous prop styling, and Trina Bentley (Make & Matter) who brought the Love & Lemons vision to life through beautiful typography and design. This looks beautiful, can’t wait to have it in my hands! Congratulations! I already love the sound of this book and can’t wait to see it in person! Preordered! I LOVE that Salsa page – so awesome, looking forward to this. Was thinking over the weekend I wanted to order this, so just did. I would like to get down to just two or three go-to cookbooks, and think this will be one of them. 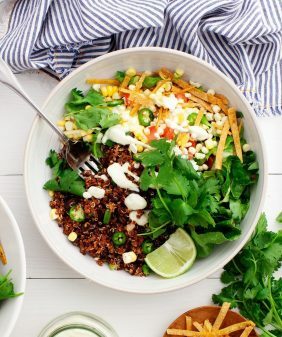 Appreciate all aspects of your work – focus on the veggie or food in hand, few ingredients, simple preparation, colorful, healthy, and flavorful. Thank you! Thank you! Those are the things I go for when I make recipes, I’m so glad you’ve been enjoying them! GUYS THIS IS GORgeous! Can’t wait to get our hands on it. Bravo! Wow – it looks beautiful! Congrats on such a huge achievement!! Congratulations! Your blog is one that I return to again and again for recipe inspiration. Thank you for creating such simple & delicious recipes that always brighten our table. I will definitely be buying your cookbook! thanks Juliana – that means so much! It looks beautiful! I can’t wait for it to arrive! I preordered my copy a little bit ago. So excited to see these sneak peeks of the inside! ? This book is absolutely beautiful. 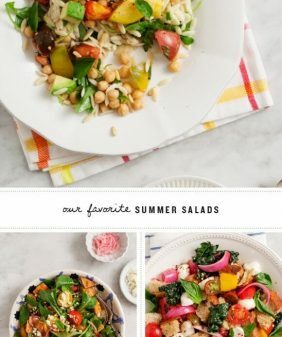 Tasty recipes, but are visual (food is visual!) and easy to follow. I received a Barnes & Noble giftcard for Christmas, I can’t wait to use it on this!! Your book looks amazing! Will it be available in the UK at some point? Just preordered! This looks like a book that will fill a huge hole in my cookbook library! 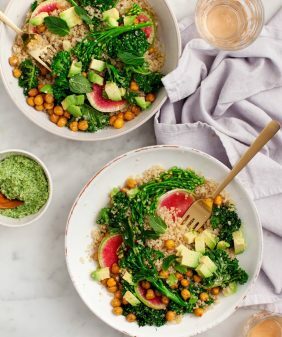 I am so looking forward to your first book — with so many cookbooks being written I’ve learned to become extremely picky — and this is one I definitely want to add to my library! I am extremely excited for your cookbook! Congratulations, Jeanine. The book looks absolutely beautiful. This was a monumental task and Dad and I are so proud of you. Ps- Is the book available for pre-order outside the US and Canada (Portugal to be specific!)? CUZ I WANTS IT! Hi Rita, I just added some European links (up in the post)… will Amazon Spain or Book Depository ship to you? I ordered it! Can’t wait! Looks as beautiful as your blog. I like the graphic design. oh yes, European measurements would be much appreciated! Too lazy to convert myself. The book has both – cups and also metric measurements! oh fantastic! Very glad now that I’ve already pre-ordered! Bring on April. Can’t wait for this, Jeanine! Congratulations!!! Jeanine, it looks absolutely stunning! Can’t wait to get my hands on a copy! YEAAAHHH! So excited for you guys and I can’t wait to get my hands on it. Looks gorgeous and right in line with your style. What a beaut! This is so exciting you guys – many congratulations!! Just pre-ordered it for delivery to London! Congrats! Of course I will pre-order! Love all your recipes and photographs, simply beautiful! Can’t wait for the gorgeous pics and food! Congrats! I am SOOOO excited I can hardly contain it all!! Love the fonts and simplicity of it all!!! Huge Congrats!!! THAT SALSA SPREAD THO. Congratulations you guys, I am so excited for this!! Congrats! I’ve been a long time follower of your blog and am so excited to buy / use your cookbook! March 29th can’t come soon enough. Can’t WAIT to get this book! My order is in! Congratulations to both of you. You are such an inspiration to me! I love the design! It looks so pretty, and I’m sure is a great cookbook to have on hand too. Thanks for sharing! Oh, I just can’t wait! Congrats, you guys!!!! Soooooo happppppyyyy for you and for me! You for the book, and me because I can have your recipes and great eye all the time. We have that little bit long over here in the UK, but i’m sure it will be worth it. This is my favourite food site and always look forward to notification emails. I’m so glad the recipes have been helpful! Thank you!! goodness can’t contain my elation, just pre-ordered on amazon! congrats congrats! and thank you for this gift! This looks amazing! I just ordered a copy and cannot wait for it to arrive! Congratulations! There’s nothing like an ACTUAL cookbook in the kitchen! I spend about 20 minutes every Sunday with a cup of coffee and my cookbooks, looking through for inspiration and creative ideas for the week. I’m SO excited about this! Over a year ago I started my own food blog. Around that time on a mission to find inspiration I begin researching other blogs and found Love & Lemons! I have been addicted ever since and even started making a change towards more vegetarian meals in my weekly line-up. I am hoping your cookbook can help me take the plunge to complete vegetarian. Can’t wait for it to show up at my doorstep! Thanks Holly! Congrats on your blog and I hope you enjoy the book! Looks beautiful–I can’t get over that cover!! Huge congrats you guys! So excited to get this book!